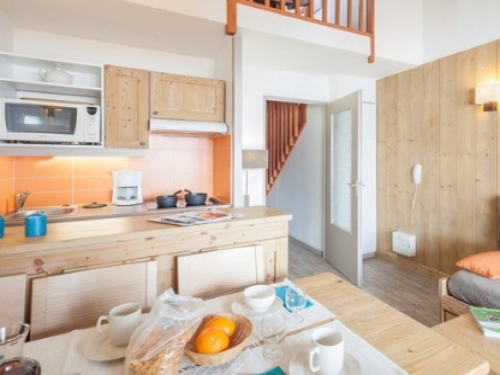 Featuring a Sauna, TV and Wifi, Chalet Les Clochettes offers comfortable holiday rental accommodation in Megeve on various board options including Catered, Half board and Room only. 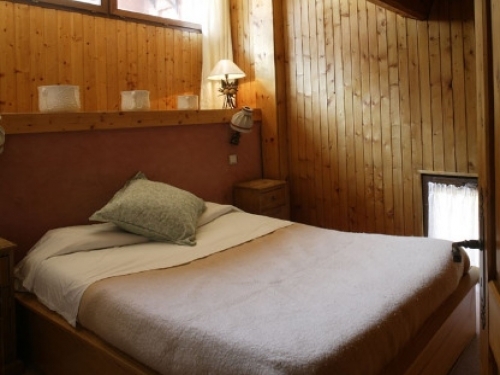 Chalet Les Clochettes is a 5 bedroom summer alpine chalet that can comfortably accommodate 10 people. Our prices are per person, based on two people sharing a room, and exclude the cost of flights and transfers. In the summer our changeover days are Saturday, Tuesday or Wednesday, however if you with to stay for different dates, we are flexible so please do get in touch with us. In the winter our changeover days are Sunday, Wednesday or Thursday. 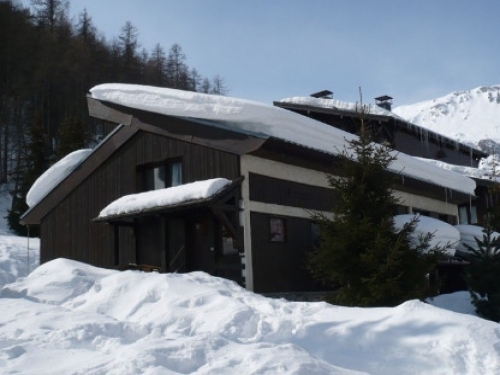 You can either book a room or the whole chalet. In the summer the price includes the following: Welcome drink on arrival En-suite accommodation with complimentary toiletries Cooked breakfast including eggs, porridge & croissants Home cooked cakes for afternoon tea Simple 3 course dinner prepared by your live in chalet hosts (6 nights) Complimentary wine with dinner Coffee & chocolates Free wireless internet access Friendly and professional staff Maps for hiking, mountain biking & road biking. Free local transport including to St. Gervais, Bettex, Combloux, Passy, Sallanches, Le Fayet and Flumet - one return trip/chalet party/day. Lots of wonderful activities bookable through Evo 2, or lots of local ideas, day trips also available. Click here for pricing and more info. Transfers to and from Geneva available. 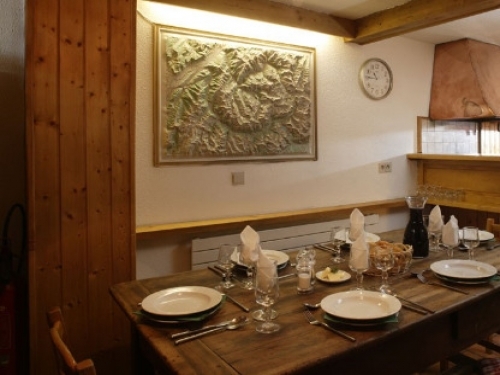 Come to our beautiful catered Chalet Les Clochettes a few minutes stroll to the beautiful alpine village of Megeve, and enjoy our summer alpine activity holidays (as well as winter skiing!) There's a plethora of mountain activities to enjoy in and around Megeve and we will transport you for free to local destinations in the summer, or just relax and enjoy the wonderful, summer mountain ambience. 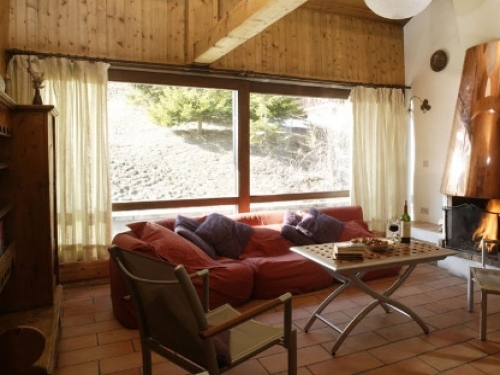 Our catered summer chalet Les Clochettes is in an ideal, quiet location for those that want to enjoy the peace of the mountains but still only a few minutes stroll down to the centre of Megeve to enjoy the picturesque cobbled streets, bars and boutiques. Just 150m from the Rochebrune cable car it's ideal to get up into the mountains for all those summer, alpine adventures! There is loads for you to enjoy in Megeve in the summer from the more extreme canyoning and white water rafting to hiking, horse riding, golf, high ropes courses, road or mountain biking to summer swimming lakes, swimming pools and the luge or just relax and visit mountain farms to see cheese being made or put your feet up with a glass of wine and watch the world go by! But the real joy is the chalet. Beautifully proportioned with a large, spacious sitting room, looking out onto the Rochebrune mountain, a view which you can enjoy from the comfort of the leather armchairs, or perhaps from the sunny veranda whilst the kids play in the garden. 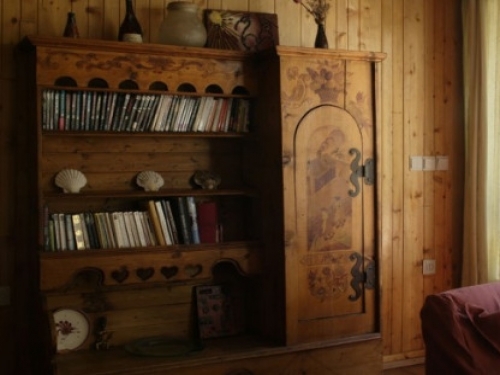 There is a sauna where you can unwind after a hard days adventuring and relax over a simple but delicious 3 course dinner with wine prepared by our own friendly and knowledgeable hosts who are there to ensure your comfort. Then hit the hay and collapse into soft, deep beds made with crisp linen. All of our five bedrooms have balconies and en-suite bathrooms as well as complimentary french toileteries, two include jacuzzi baths! Wake well rested for the a fun packed day ahead. A hearty cooked breakfast will set you up for the day. Enjoy! The Clochettes can be booked as a whole or on a room by room basis. If your party is larger than 10 people then we can extend the chalet to include the apartment above which sleeps an additional 4-6 people. Sample menu plan Cream of Celeriac soup ~ Confit of Canard with a red wine sauce, seasonal vegetables and Dauphinoise potatoes ~ Dark Chocolate Mousse Price includes: Welcome drink on arrival En-suite accommodation with complimentary toiletries Cooked breakfast including eggs, porridge & croissants Home cooked cakes for afternoon tea Simple 3 course dinner prepared by your live in chalet hosts (6 nights) Complimentary wine with dinner Coffee & chocolates Free wireless internet access Friendly and professional staff Maps for hiking, mountain biking & road biking. Free local transport including to St. Gervais, Bettex, Combloux, Passy, Sallanches, Le Fayet and Flumet - one return trip/chalet party/day. Lots of wonderful activities bookable through Evo 2, or lots of local ideas, day trips also available. Click here for pricing and more info. Transfers to and from Geneva available. Please note, smoking is not permitted in our chalets. Megeve in Summer - A beautiful, picturesque village with stunning scenery. The traditional Savoyard town of Megeve still has horse drawn caleches carriages and cobbled streets but yet has all the amenities you need to have be as active or relaxed as you'd like on your alpine summer holiday! The centre of Megeve is pedestrianised around a 13th century church, with interesting narrow streets to explore and a wide variety of boutiques, delicatessens, bars and restaurants. Megeve is basically a French resort, although more overseas visitors are starting to discover its charms. There are no huge hotels and the resort does not cater for the mass market. Come and visit between around the 14th July and enjoy hearing New Orleans style jazz music as you wander through the cobbled streets. Different bands from all over the world compete to win the Megeve Jazz competition. Later on in the evening when the "serious" business of the day is done, the musicians often meet to jam together in the central square. For something to really get the pulses racing come and watch the showjumping competition in the Palais des Sports car park later on in July. Really a spectacle worth viewing. (see megeve tourism for more details). There are also road biking races and mountain biking races, classical music concerts and rock concerts. Lots to enjoy! Megeve is also great for those who want to inject a little excitement into the holiday. This year we have launched our new activity adventure summer holidays based at our catered chalet Les Clochettes. Choose from a range of exciting activities - canyoning to mountain biking, paragliding to high ropes courses to make your holiday as adventurous as you want it to be! The special Megeve ambience: We cannot explain it but it's partly the charm of the resort, the friendliness of the Megevans, the wide range of interesting things to see and do, and of course the wonderful restaurants both in the town and on the mountainside.